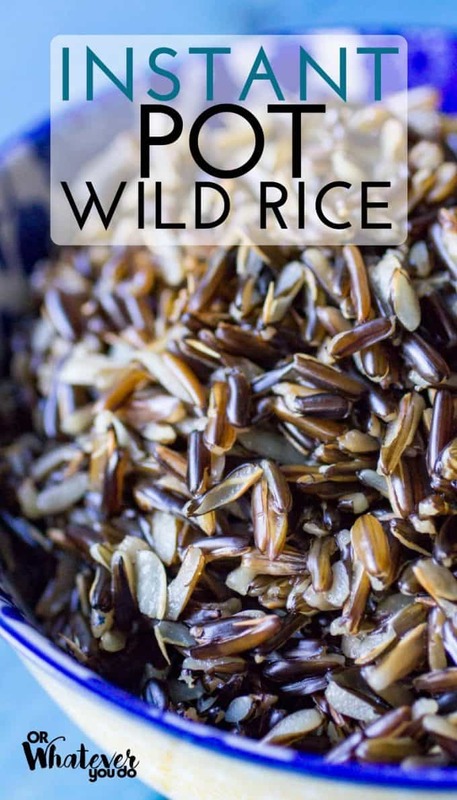 Wild Rice is one of my favorite foods, but I don’t use it very often because it takes SO long to cook. Not anymore. Instant Pot Wild Rice cuts the cook time down AND produces the very best wild rice that I’ve ever had. 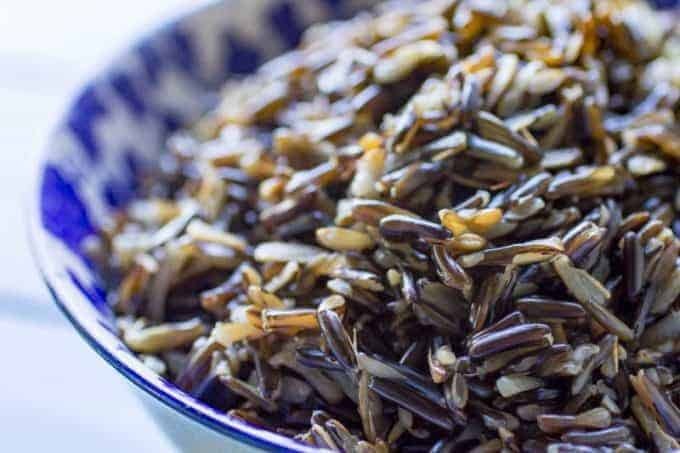 Wild rice can either be really really amazing, or resemble something that on a good day looks (and tastes) like dog food. You know what I’m talking about. It is kind of hard to get it just right sometimes. Or maybe I’m just really particular about the texture of this awesome staple that can be found in any Minnesota kitchen worth its salt. It doesn’t get easier than this. Pour “rice” into the Instant Pot, pour broth into the Instant Pot. Close lid. Set 15 minutes. Release pressure, open and enjoy. I need this stuff on hand because it makes such a great addition to soups, bread, stuffing, and salads. Stay tuned later this week on the blog because you’ll be getting my new favorite soup, Minnesota Wild Rice Hotdish Soup. Creamy, dreamy, comfort food, in soup form, and any Minnesota grandma would love a big bowl of this. I also use this rice in my Corn & Potato Chowder recipe, and it would be perfect in the Beef & Wild Rice Stuffed Zucchini too. 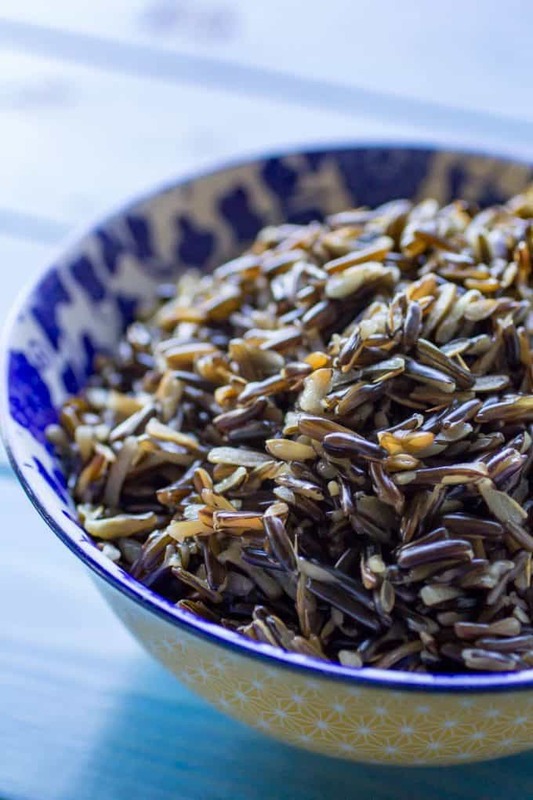 Easy, delicious wild rice cooked in the Instant Pot! Set it and forget it for perfect rice, every time. 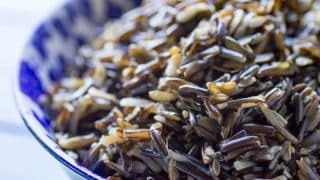 Place wild rice and stock into the Instant Pot. Close the lid and set to Manual, high pressure, for 15 minutes. NPR (natural pressure release) for 10 minutes, and then vent remaining steam. Open and serve! If there is a bit of extra water, drain it. 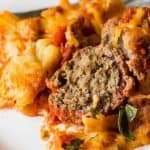 Keep to add to soups, stews, breads, pancakes, or to make into a hotdish or casserole. Don't use "cracked" wild rice in this, or anything that is "quick cooked" or "par cooked". I haven't tested with those kinds of rice. 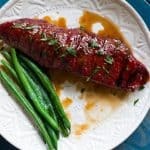 This looks great, I can’t wait to try it. I can’t seem to set mine to thirty five it only goes to ten and there is no manual button. The is a button to add time or take away time but it won’t let me change for rice. What kind of Instant pot do you have? Don’t use the “rice” button, just use “manual” or “pressure cook”and then 35 minutes. This rice was so mushy! I used MN wild rice exactly as you stated. Not happy at all! The best thing a long ago boyfriend ever gave me was his Minnesota Mom’s recipe for wild rice casserole. It has pork sausage, onion, celery, mushrooms, cream of chicken soup, onion soup and of course wild rice. Do you suppose I could use your recipe above and just add the other ingredients? I’m fairly new to the wonders of instant pot cooking. Yes! I think that would be wonderful. 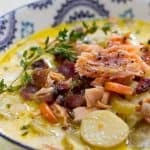 I always am careful with “cream of” soups in there because I’ve heard stories of them sometimes causing issues, but it is definitely worth experimenting! You can also just cook the wild rice in the pot and then make the casserole in the oven. That would probably be the first thing I did! 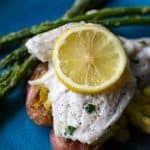 The blog post says 35 minutes, but the recipe says 15. Which time should I use? I tried it exactly, but had lots of liquid left over. I had to pour it out in the sink. Rice tasted fine though. Yup! It is totally normal to have water leftover when the cook process is done. I’m glad the rice turned out great! Thanks for letting me know! Have you ever doubled this in the instant pot? Should be fine to double if you have a large pot. 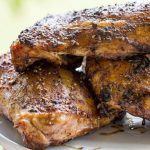 I haven’t tried it, but there was plenty of room left in my 8qt when I made this recipe so I wouldn’t hesitate to double it unless your pot is fairly small.